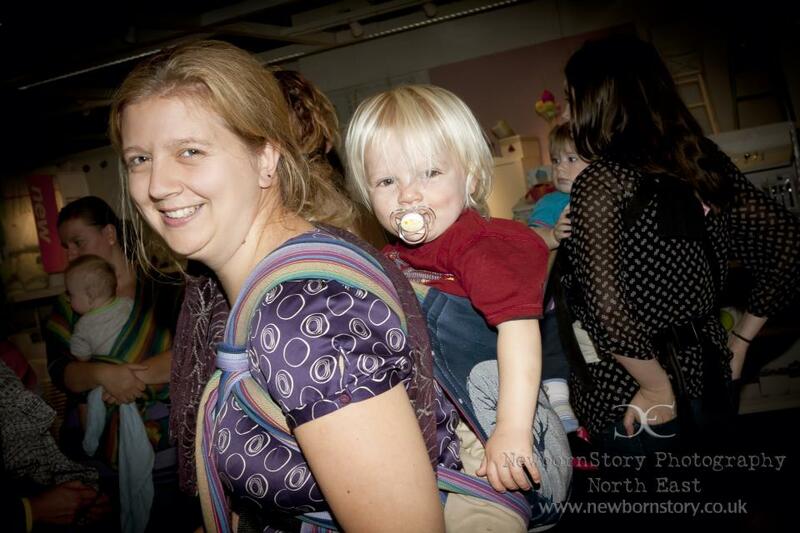 Five years ago, whilst pregnant with my third child, I got talking to a sling librarian about cloth nappies. I told her quite cheerfully that I didn’t carry my babies, because “they were just too heavy”. Having had an 8lb8oz first child, and a 10lb8oz second child, I felt I was entirely justified in this statement. So, I went to see her when my third child was 8 days old. I had a three year old and a 6 year old. I had a school run, a play group drop off and one “those” babies. You know, the ones that cry all the time, won’t be put down and don’t sleep. She fit me with a Calin Bleu fleece stretchy sling. It was the first week of January, it was -2 degrees celsius. The sling saved my sanity. I could pop my tiny little bundle of angst into the warm fluffyness, and walk the other 2 kids to school, I could get on with jobs around the house, I could stand swaying in front of the telly willing him to go to sleep. When my hire period was up, I found my own stretchy. Then a woven sling, when I wanted to back carry some months later, I switched to buckles, then half buckles as I carried my every growing child. At 3 and a half he discovered a scooter, and I didn’t need to carry him quite so much, and by 4 our baby wearing journey was over. If you are not already carrying your little ones, I urge you to find your nearest sling library (here’s a place to start sling library map) and try a few on, or drop me a line about the slings I stock and I’ll do my best to help. I wish I’d discovered slings with my first child, and not my third, but I am still really, really glad I did.